PennDOT contractors are replacing the bridge that carries Route 252 (Palmer's Mill Road) over the Springton Reservoir in Upper Providence and Marple townships, Delaware County. The purpose of the bridge replacement is to address existing deficiencies of the Route 252 (Palmer’s Mill Road) bridge and provide increased span length to accommodate Aqua Pennsylvania’s future spillway improvements that are expected to begin in 2021, after the PennDOT bridge replacement is complete. Construction is scheduled to begin on Monday, January 28 with the installation of advanced warning signs and tree clearing operations. Read the full press release. 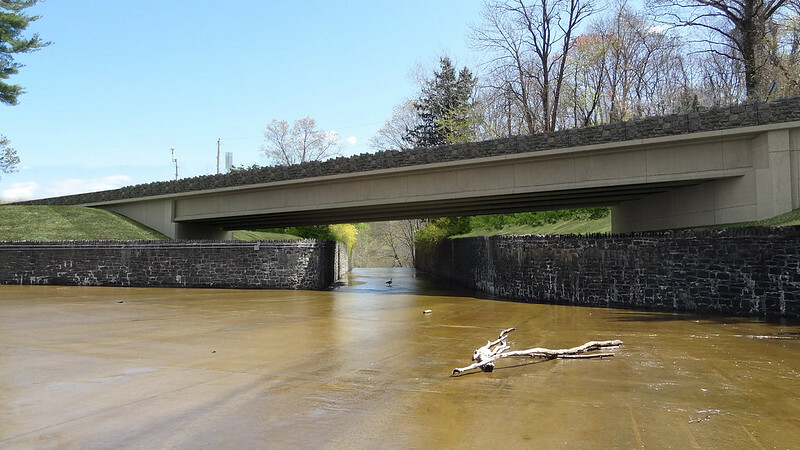 In spring 2019, PennDOT’s contractor will begin constructing a temporary bridge that will be used to carry northbound Route 252 (Palmer’s Mill Road) traffic over Springton Reservoir to maintain one travel lane in each direction through the project limits.